After discovering the nearest home winemaking club was 45 minutes away in Sonoma, Bob Bennett placed an ad in Sonoma County’s local newspaper, The Press Democrat, inviting people to his home to discuss their winemaking and grape growing experiences. Seven people accepted Bob’s invitation, and on September 27, 1995 GENCO-Garage Enologists of North County began. GENCO meetings have the sole purpose of wine and vineyard education. Most of the meetings from 1996 to 2011 were held at the Healdsburg Public Library. Being home to the Sonoma County Wine Library, this was an excellent location to discuss winemaking. Bob planned and presided over all meetings with a specific topic and purpose. In addition to holding meetings at the Healdsburg Public Library, meetings were also held at a vineyard, a winery, a member’s winemaking facility, or other Sonoma County Regional Library branches. GENCO was formed to provide a forum for the exchange of ideas and information, and to enhance economical production of quality wine in small quantities. The group shares information on ideas, experiences, successes, failures, problems, and pitfalls in making wine, and also conducts tastings of member wines for evaluation and enjoyment. At each meeting a topic of particular interest to our members regarding home winemaking and viticulture is explored through open discussions and occasionally guest speakers. In addition, meetings provide the opportunity to organize sharing in the purchases of winemaking supplies (bottles, barrels, oak alternatives, corks, carboys, various supplies, etc.) to obtain larger lots for better pricing. Meetings are not only informative, but also a lot of fun. It was even at a meeting that one of the members drew a pencil drawing of a garage with a barrel, which became the GENCO logo. This logo remains today with a slight enhancement from a graphic artist in 2011, so the logo could be used on our amateur winemaking competition rosette awards. GENCO has provided a public service in matching up acquisitions between small grape growers and home winemakers. GENCO apprises home winemakers regarding amateur competitions throughout California and in several other states. The group voluntarily helps staff the Sonoma County Harvest Fair commercial wine judging and voluntarily sets up the amateur winemaker display for the Harvest Fair. GENCO offers a number of events for the members throughout the year, such as group winemaking barrel project, a summer picnic, post-harvest party, Christmas party, wine & dine dinners at member’s homes, wine competition and awards dinner, winemaking seminar, and a barrel steam-cleaning day at a local winery. GENCO also sets up the hall where the amateur wines for the Sonoma County Harvest Fair are displayed. Members have even organized wine tasting trips to other grape growing regions in California and beyond. In 2009, our website, gencowinemakers.com was established which offers a wide variety of information for our amateur winemakers and grape growers. GENCO had a monumental year in 2011 as it formed a governing Board of Directors and held its inaugural Amateur Winemaking Competition where 96 wines were entered. Members are beginner and experienced winemakers and many are beginner and experienced grape growers. In January, The Press Democrat featured an article about GENCO and its founder, Bob Bennett. Since then, there has been a substantial interest in amateur winemaking and we now have over 100 members throughout Sonoma County with several members from Napa, Mendocino and Marin counties. Our membership had grown so that the Healdsburg Library could no longer accommodate the number of members at our meetings and a larger venue was sought in 2012. For a number of years GENCO's membership had not represented just the "North County" of Sonoma County. 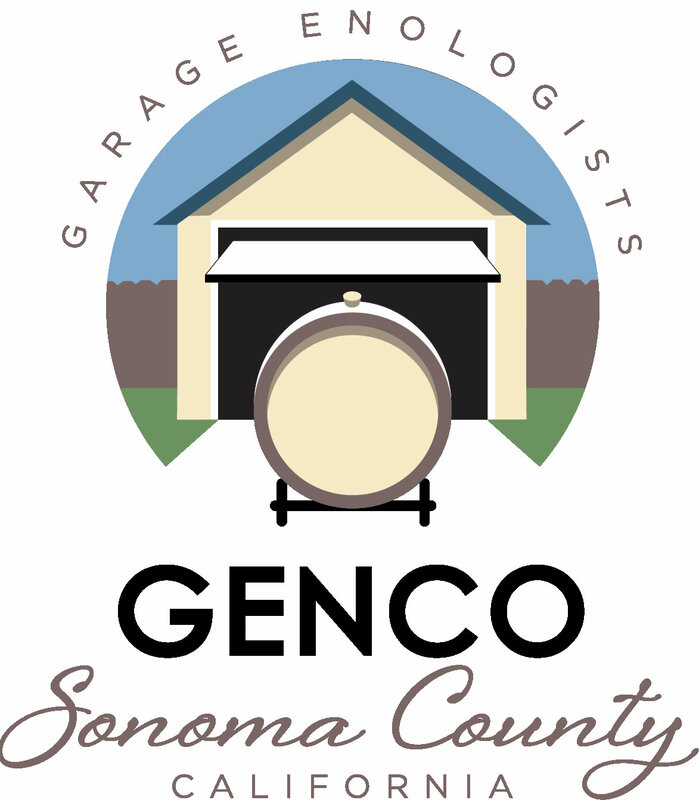 Therefore, in January 2018 the membership revised the name to Garage Enologists of SoNoma COunty, with GENCO remaining the acronym. 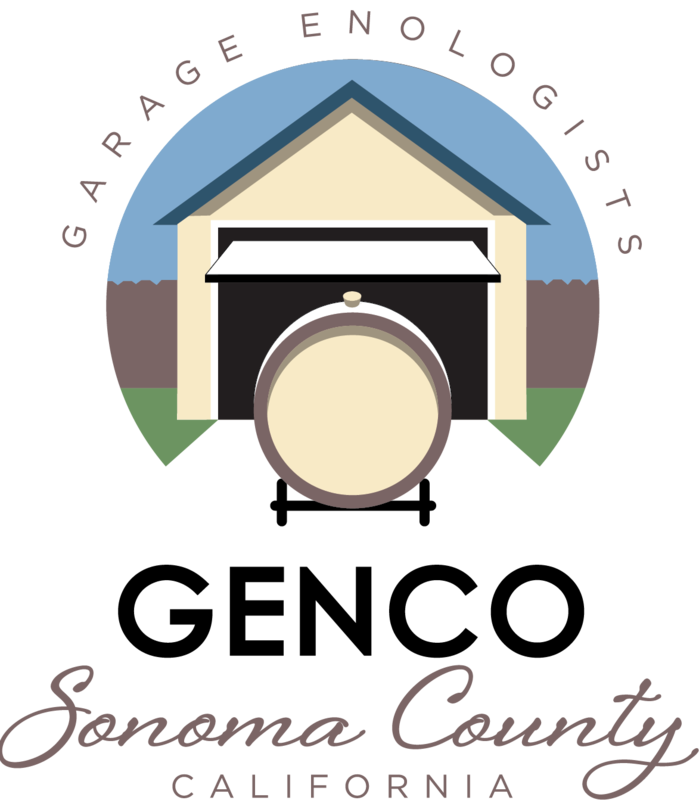 With a revised name, a new logo was designed to incorporate Sonoma County, keeping the original theme of a garage with a wine barrel. GENCO continues to flourish with members producing increasingly higher quality wines during our third decade of existence. We currently meet in Healdsburg at the Good Shepherd Lutheran Church, down in Gruenhagen Hall on the 4th Wednesday of the month.